Here at Fairytale Entertainment quality and honesty is our goal. All of our wardrobes are the finest available with each being custom made. We take great care to ensure our characters look like your real princess or super hero. Our dresses are embellished with only the finest of quality. Our armor is specially molded bringing your child's favorite super hero to life right in front of their eyes. You will find that our characters are dressed to the T and are ready to take your party or event to an enchanted world. 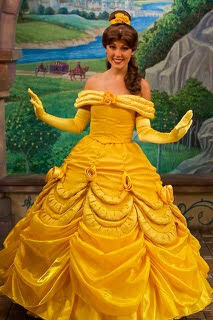 **Fairytale Entertainment has been in existence since 2009 and is not associated with the Walt Disney Company. We do not offer licensed "Elsa and Anna" Frozen parties . The Snow Queen is a original fairytale written by Hans Christian Andersen. We use our own costumes and we do not claim to be licensed copyrighted characters. We do not offer licensed Barbie Parties, Elsa Parties, Anna Parties, Belle Parties, Tinkerbell Parties, Snow White Parties, Cinderella Parties, Sofia Parties, Ariel Parties, Rapunzel Parties, Aurora Parties, Jack Sparrow Parties or any other Disney Princess Parties.